Was Bigfoot Filmed in Russia? As most of you know Bigfoot is not exclusive to the United States but is also found in many parts of the world. 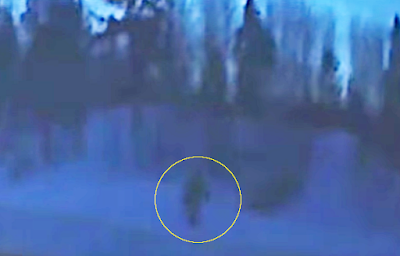 I ran across the following possible Bigfoot report and it comes from Severodvinsk, Russia. 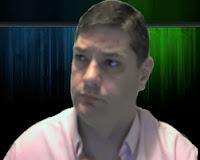 The image (above) is a still frame from the video. From what I can gather the man was driving on some snow covered roads while filming with the idea of posting it to the internet. While driving he sees this figure moving through the snow. He even stops and walks over and films it walking towards and into the woods. Lets take a look at the video and then I will give you more on the sighting. Here is some more information about the video. The man, once he gets out of his car and according to the report, he shouted at this figure several times and it did not respond to him at all. The figure disappeared into the woods. Some people point to the man being too brave and saying this is why they think it is a hoax. Also according to the report, the witness hesitated to put the video out fearing that people would just make fun of him. 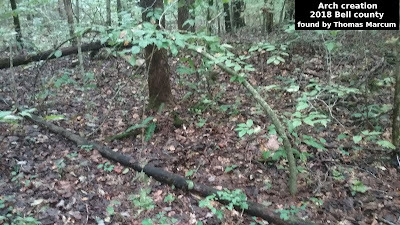 While many say it is most likely a hoax, some of the locals, according to the report, say that they have noticed other animals running out of the forest as if they were chased out. As for the figure, you can see it moving and swinging its arms. It does appear to want to get away from the man, but of course this could all be set up. Now, I have no idea if this video is of a real Bigfoot or not. It could very well be nothing more than a hoax. You would think, if it is a hoax, that they would have better things to do on a snowy day. Mountain Time - Send in the Bears! Which Ghost Box is Right for You? 5th Annual Harlan Haunt Fest!